We like to recognize education colleges for outstanding work developing the next generation of teachers. The University of Michigan’s School of Education (SOE) was a natural choice for our first honoree given the caliber of the students and their commitment to preparing for their profession. Students from the University of Michigan have the broadest participation in The Graide Network to date. As a result, we have seen their impact firsthand. Teachers have appreciatively cited the high quality of feedback and impressive turnaround times. One teacher noted that the Graider’s support allowed him to double the amount of feedback given to his students. This is exactly the kind of real impact on student learning The Graide Network endeavors to achieve. The University of Michigan’s SOE is grounded in the belief that “the educational development of all people is critically important for the growth of a free, just, and productive society.” To that end, the SOE cultivates a large and active group of aspiring teachers and talented faculty across a diverse group of programs. For the undergraduate program, secondary education students are required to achieve either a teaching major and minor or two teaching majors in order to be recommended for teacher certification. Elementary education students must achieve a teaching major. The SOE program begins junior year and includes a student intern placement in classrooms two half-days per week. Some students start early through the Preferred Admissions program (TEPA). TEPA students are guaranteed admission into the SOE their junior year if they uphold certain academic and experiential learning requirements. The application process focuses on the lessons that applicants have learned from prior work and volunteer experience that are relevant to their intended teaching profession. Some of the benefits of TEPA is students can begin to take education courses early and plug into the education community. Students get involved in a wide range of activities including tutoring, serving as pen pals, assisting high school students with college applications, and providing professional development courses for high school students. Many of these activities are facilitated by Kappa Delta Pi’s education honor society chapter at Michigan, Tau Epsilon. The chapter focuses on the professional development of its members in order to equip them for impactful community service. Sarah Bernstein, President and of Tau Epsilon and current senior, provides insight into what makes Michigan’s SOE unique and how she is preparing to become an elementary teacher. Read on below! 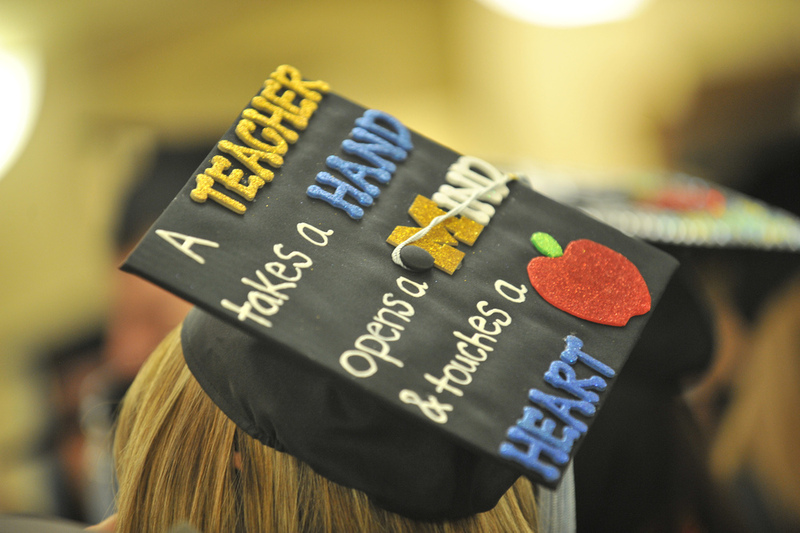 What makes Michigan's School of Education special? I love our program because we are in the classroom interning from the very start. This is unique compared to other programs, in which students are only in the classroom for the final student teaching year. Our program also has a very large focus on multicultural education and becoming a culturally responsive teacher, which I believe is imperative to becoming an effective teacher for all students. Our program was revamped a few years ago and is now leading research in teacher preparation. Our professors and faculty are all incredible as well! What attracted you to the program? I wanted to go to a big school for college and I ended up loving Michigan. I applied to Michigan for preferred admissions to the School of Education as I knew that I wanted to become a teacher. I liked that our program was junior and senior year, which gave me the opportunity to take different classes (along with my prerequisites for the program) in the College of Literature, Science and the Arts. I liked that our program incorporated teaching into the two years, which allows us to graduate on time in four years. What have been your favorite experiences in the School of Education so far? I absolutely love my teaching placement this year in a fourth grade classroom in Ypsilanti, Michigan. Our field instructors worked extensively to find the best fit for us and for our developing teaching philosophies. I also loved the parent panel we attended in our class, "Education in a Multicultural Society." The panel consisted of parents from different backgrounds who talked about their positive and negative experiences with their respective children's schools and teachers. How has your involvement in Kappa Delta Pi helped prepare you and/or your fellow education classmates for your careers as teachers? One of the great parts of KDP is the professional development through speakers, panels, and interacting with other pre-service teachers. We have an administrator panel each year, which is an invaluable experience as we are able to talk in small groups with principals from local Ann Arbor schools. We also have speakers discuss topics such as, students with exceptionalities/special education, art integration, resume building and other career services topics. One of the most valuable experiences being in KDP has been getting to know other pre-service teachers across grades and concentrations. Thanks to Sarah for sharing the inside scoop and for all you do to strengthen the Michigan SOE community!